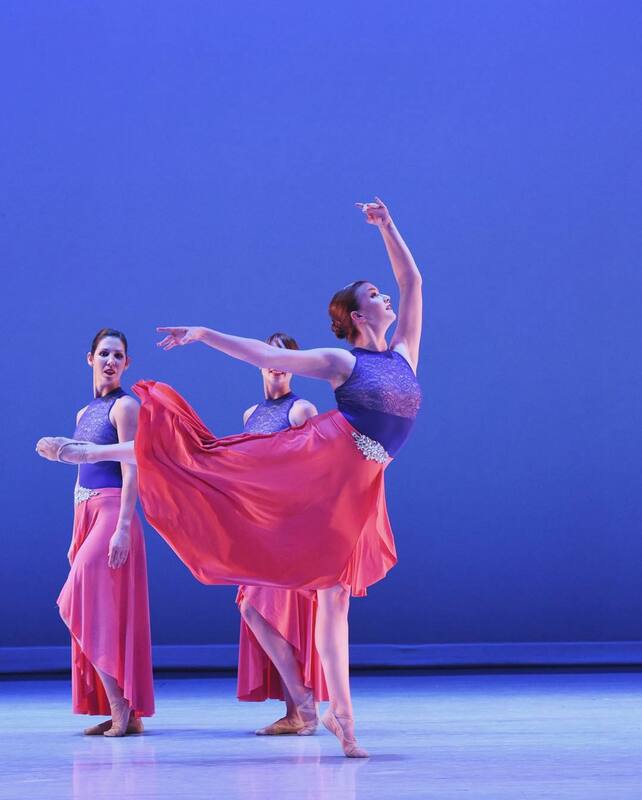 Guest Artist at BalletNova’s Spring Concert at the Thomas Jefferson Theater. 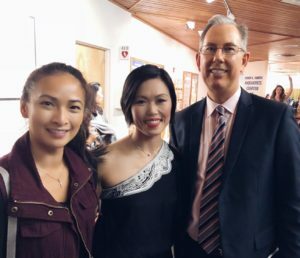 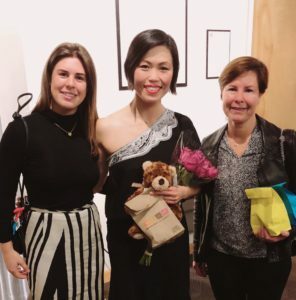 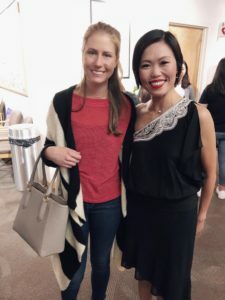 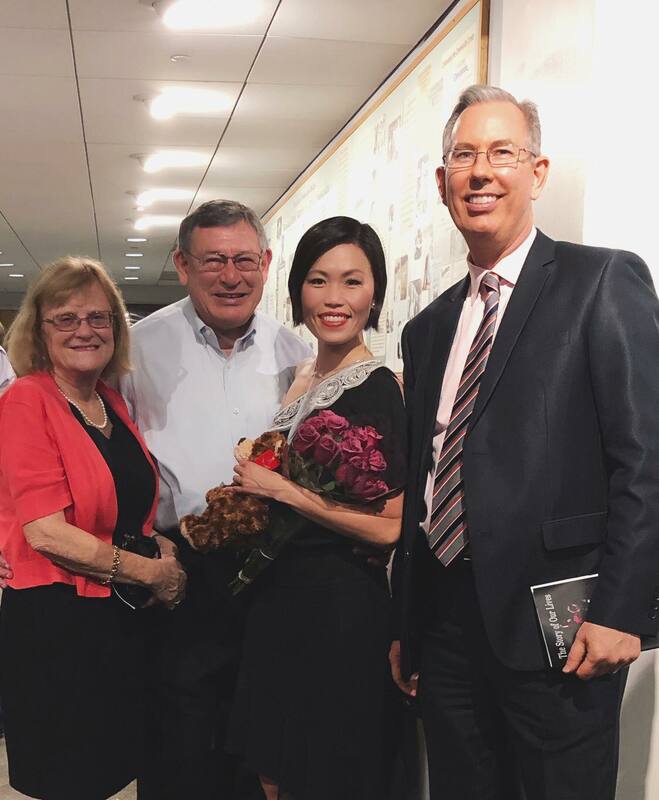 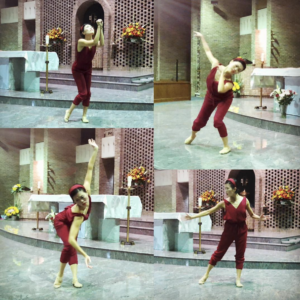 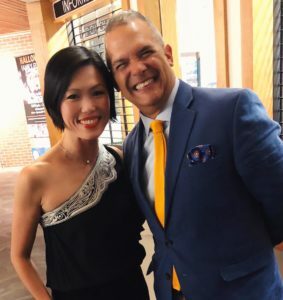 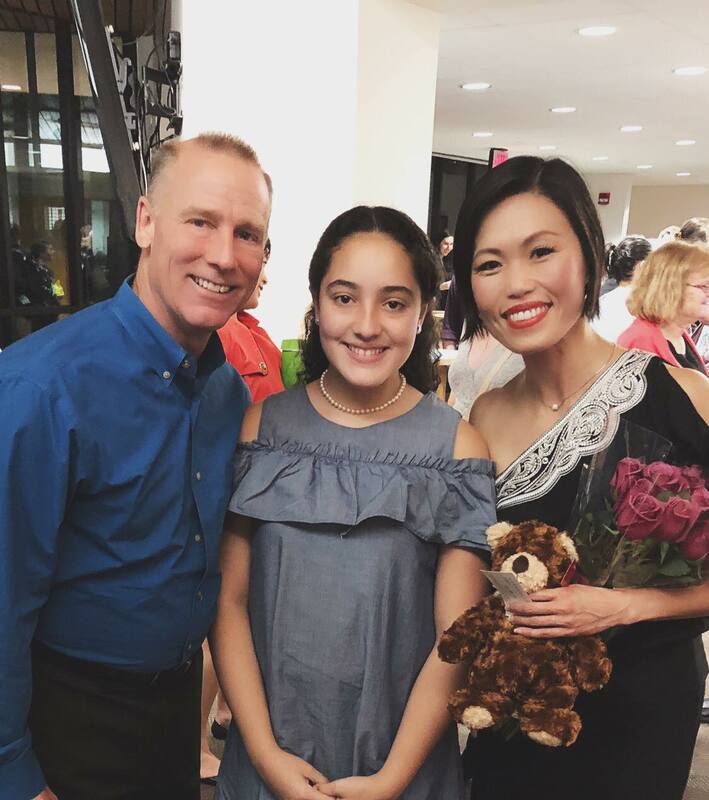 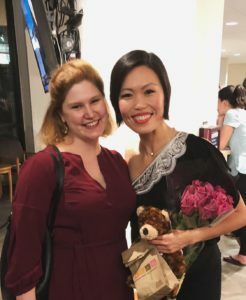 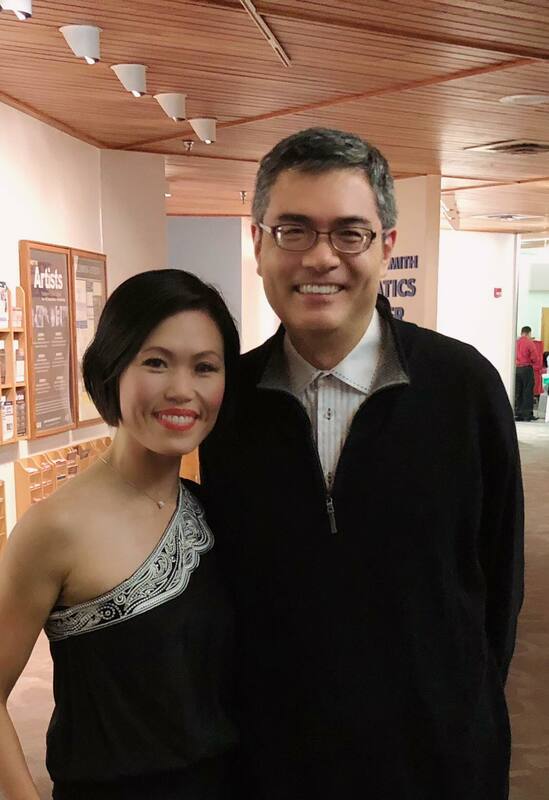 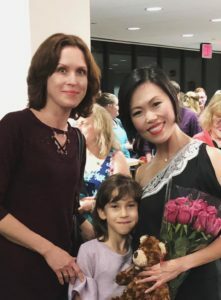 Shu-Chen performed at the Catholic Charities U.S.A. Benefit Concert in Support the Families at the Border. 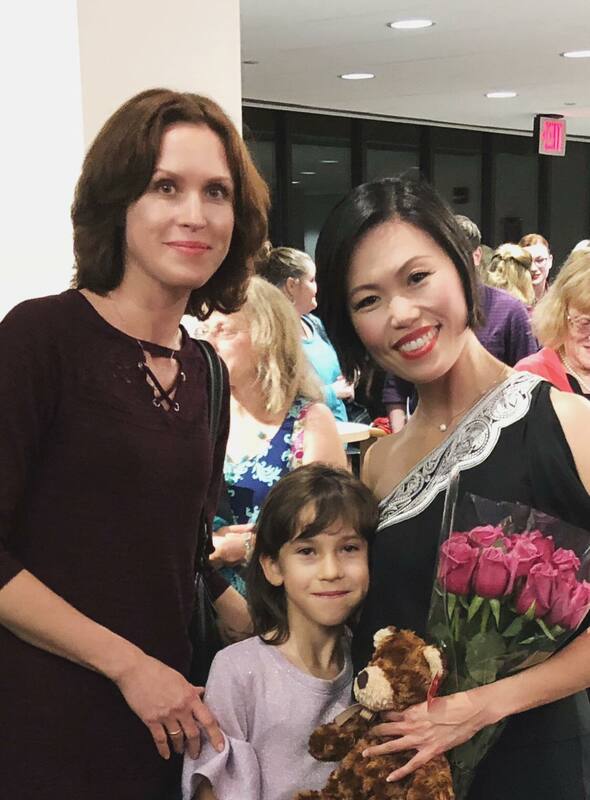 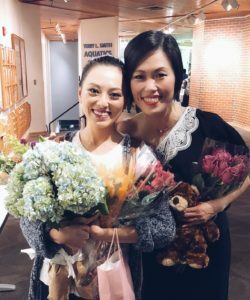 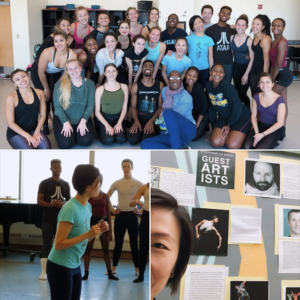 Shu-Chen taught a Master Class at the Towson University. 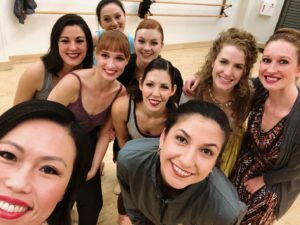 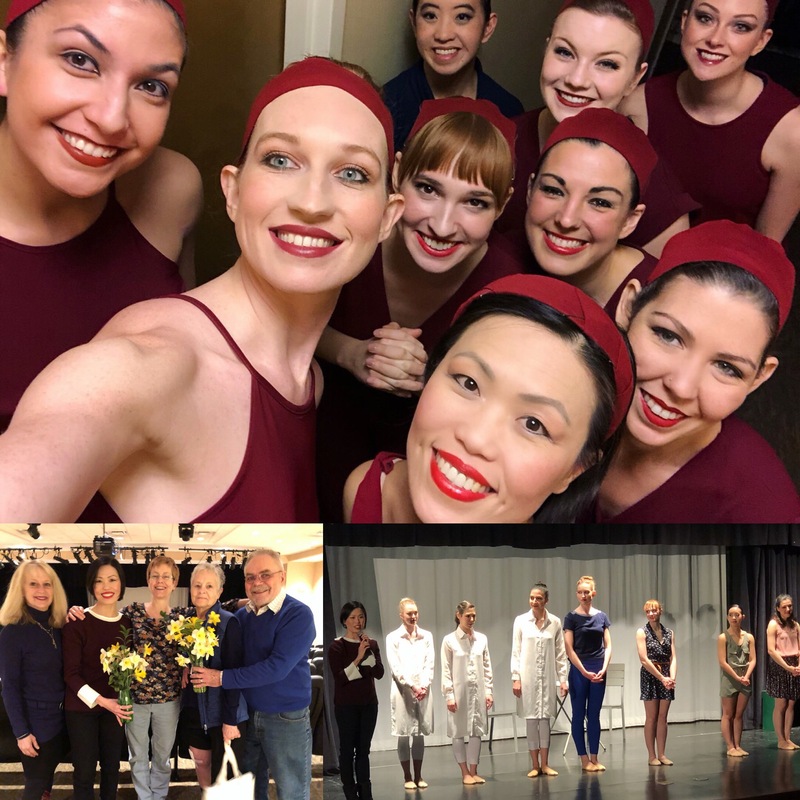 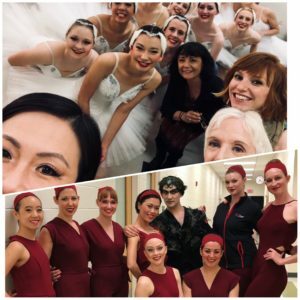 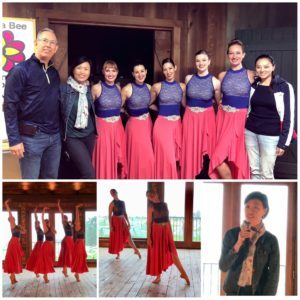 GDC Shu-Chen and company dancer Alissa Duff taught a master class for Ashburn Academy of Dance on the stage before the show! 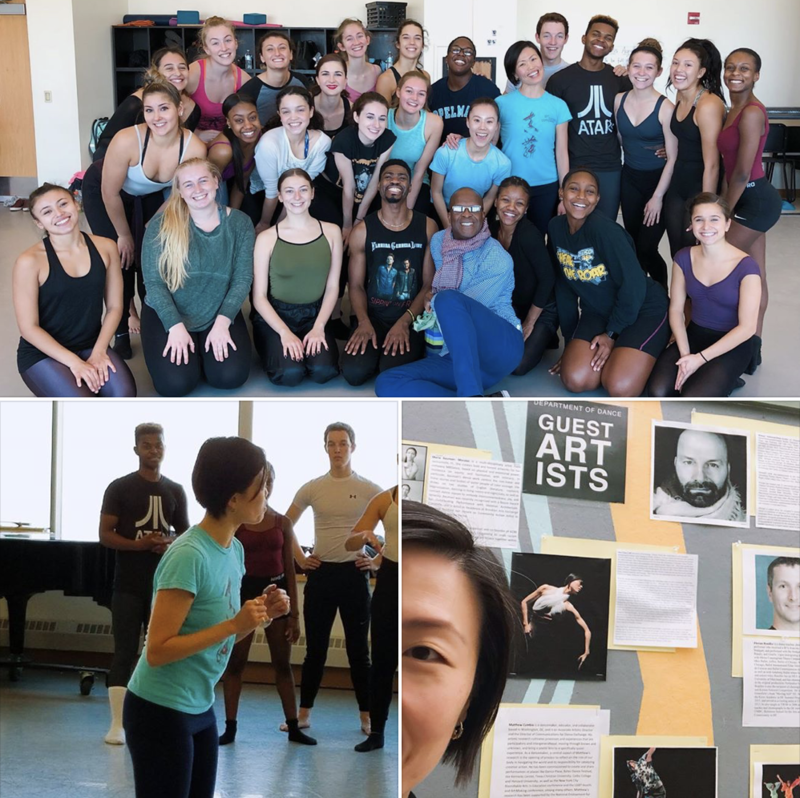 Such a fun class!! 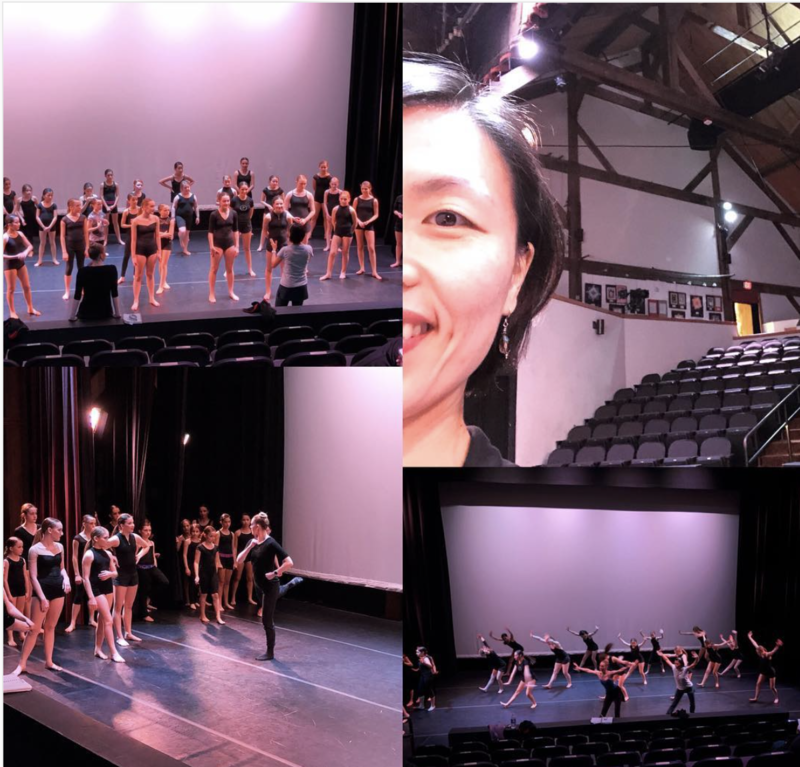 We enjoyed so much performing with Ashburn Academy of Dance’s EDGE Company at the Franklin Park Arts Center. 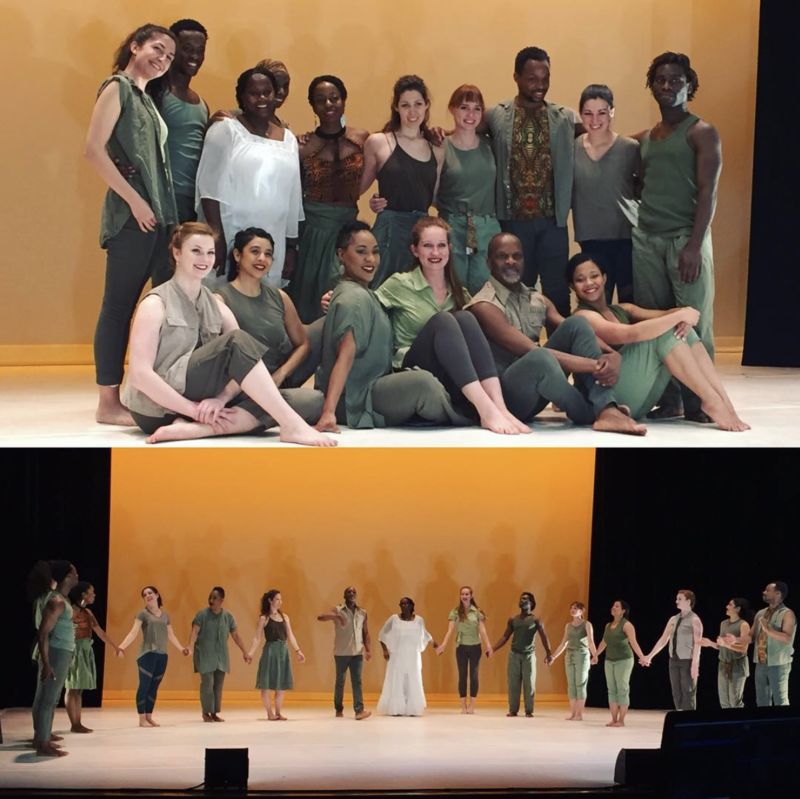 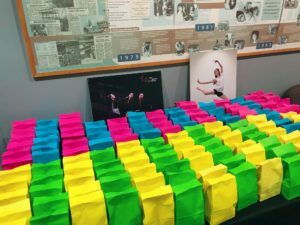 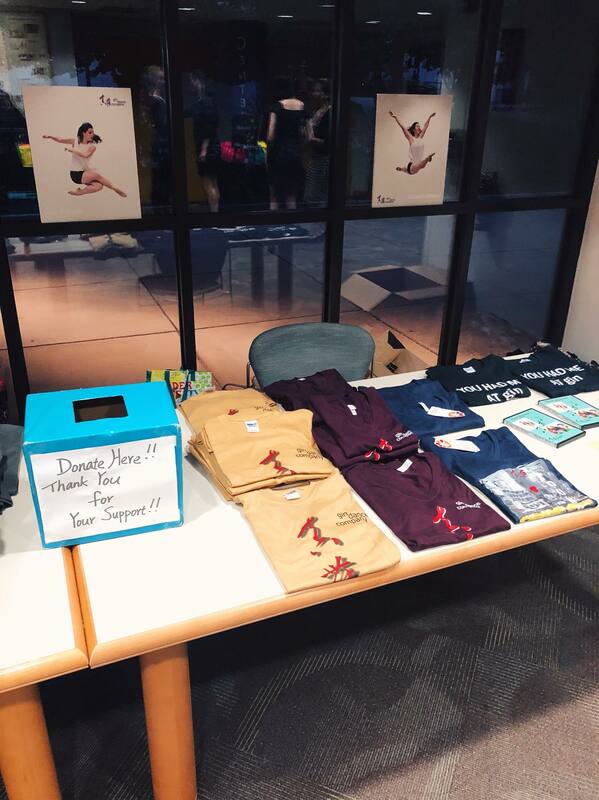 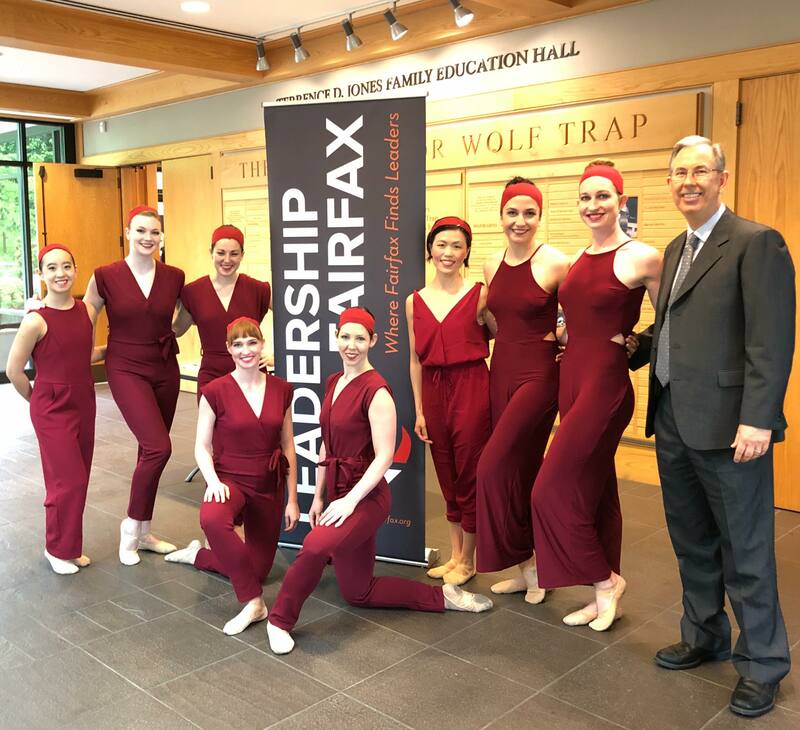 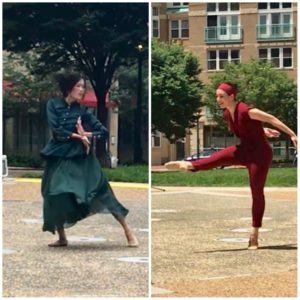 We had a great privilege to be part of Dance Place and Reston Community Center ‘s special Marvin Gaye project – ‘What’s Going On’ by Vincent Thomas. We got to bring our ‘PHENOMENA’ production at the Greenspring Village Senior home community. 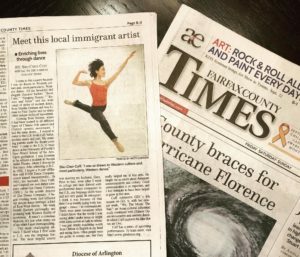 Shu-Chen featured in Fairfax County Times. We toured to NY and participated at the DUMBO Dance Festival where we had a great privilege sharing the stage with 70 contemporary dance troupes combining over 350 artists who presented solo, chamber, and full-scale works. 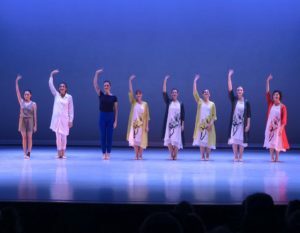 Dancers from across the United States, and internationally from Switzerland, China, Hungary, Spain, Japan, Korea, and Italy. 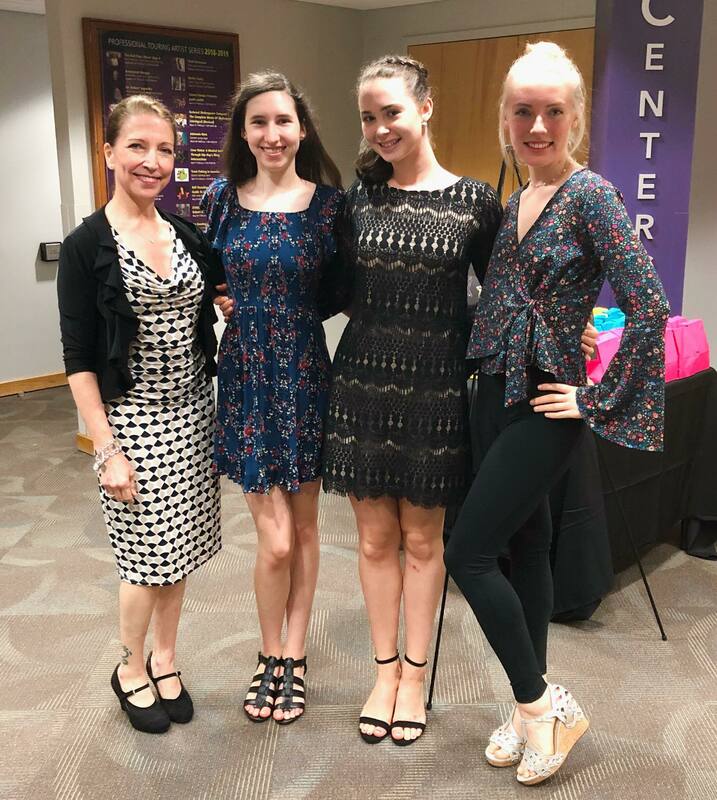 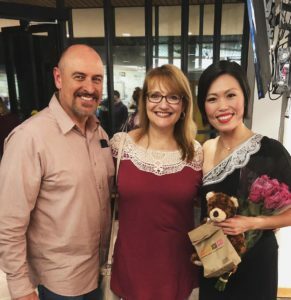 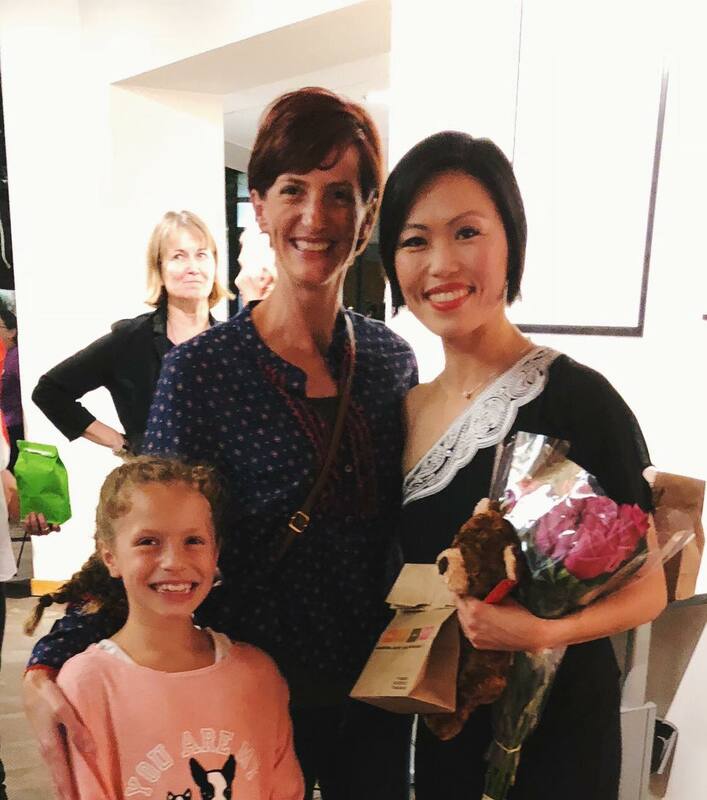 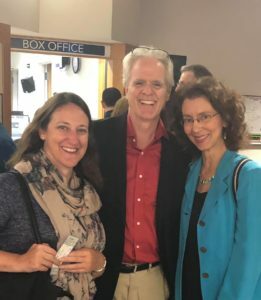 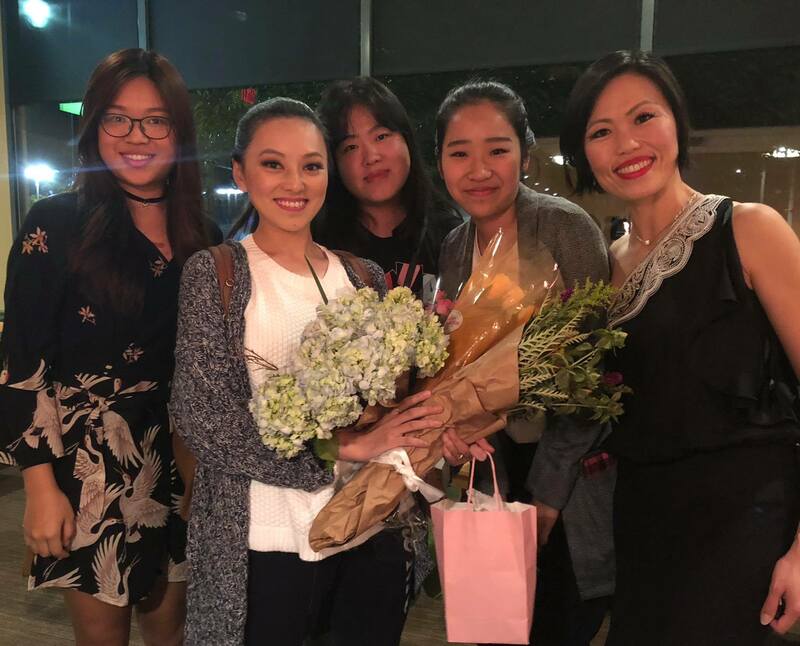 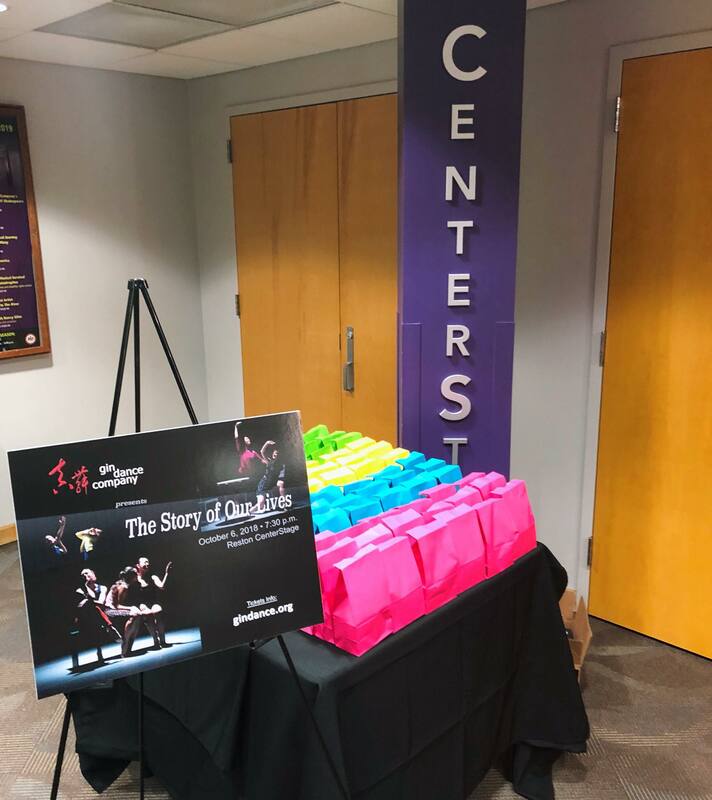 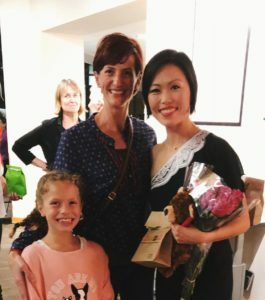 We enjoyed so much sharing our ‘The Story of Our Lives’ production to an enthusiastic audience at Reston CenterStage on October 6, 2018. 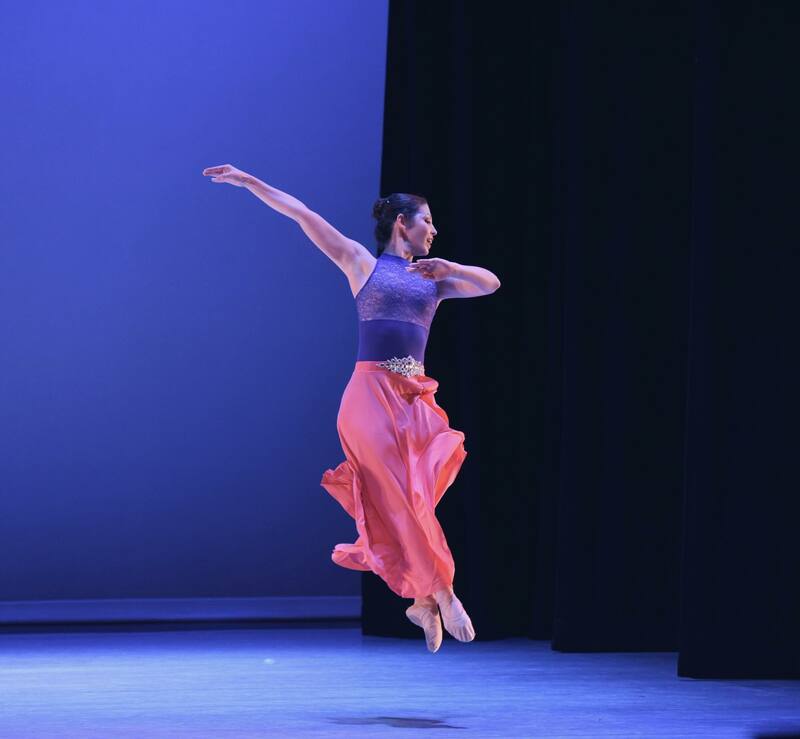 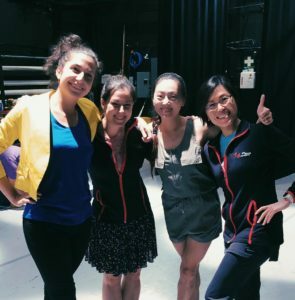 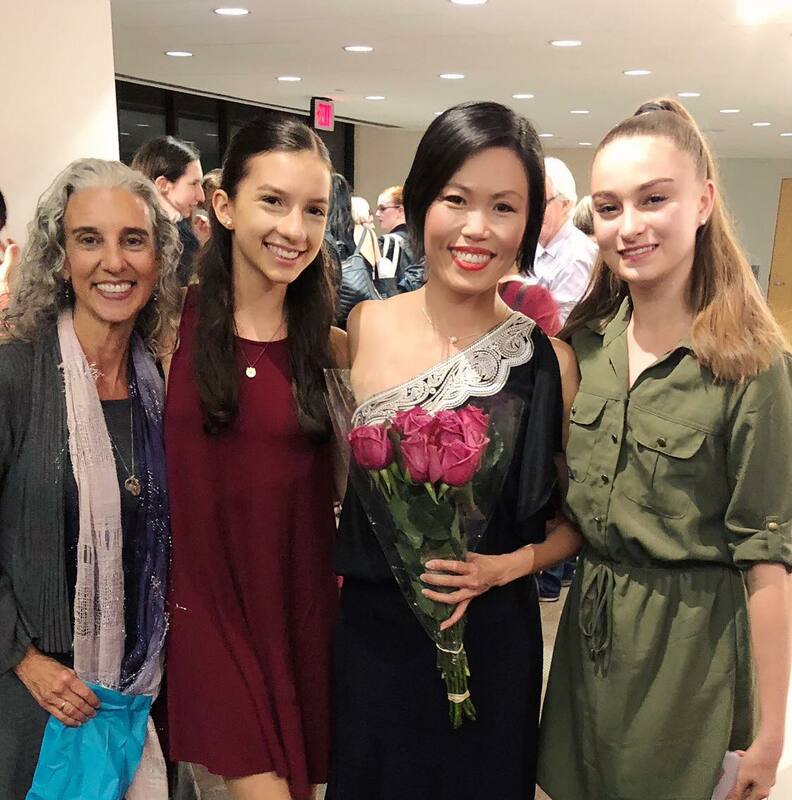 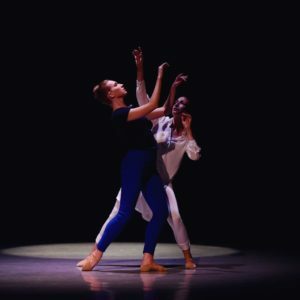 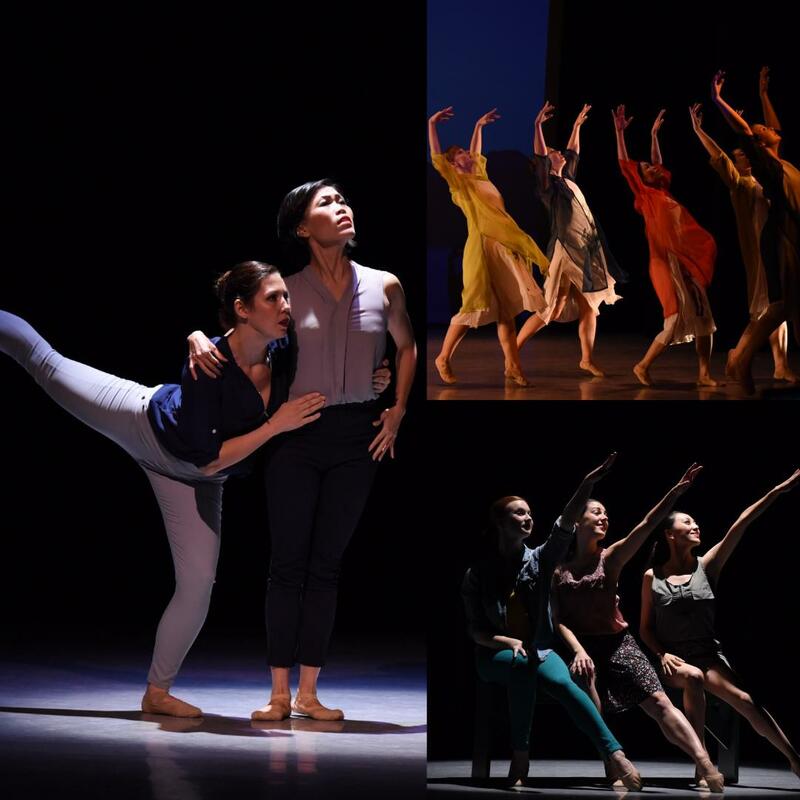 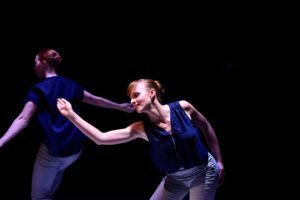 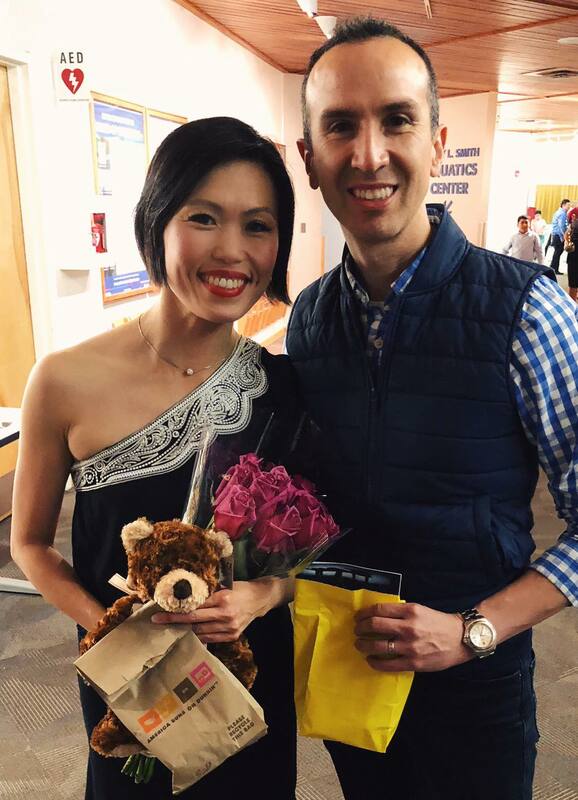 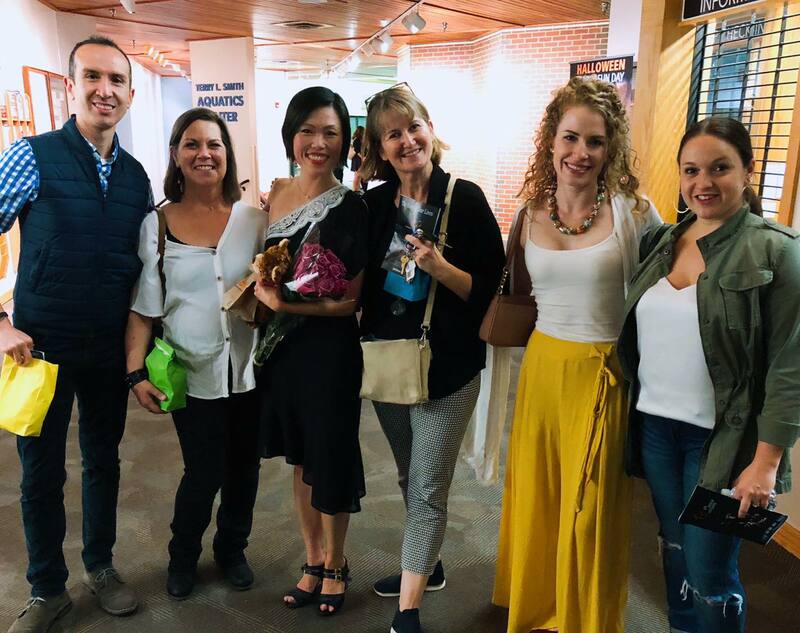 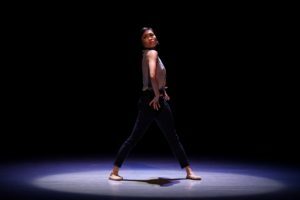 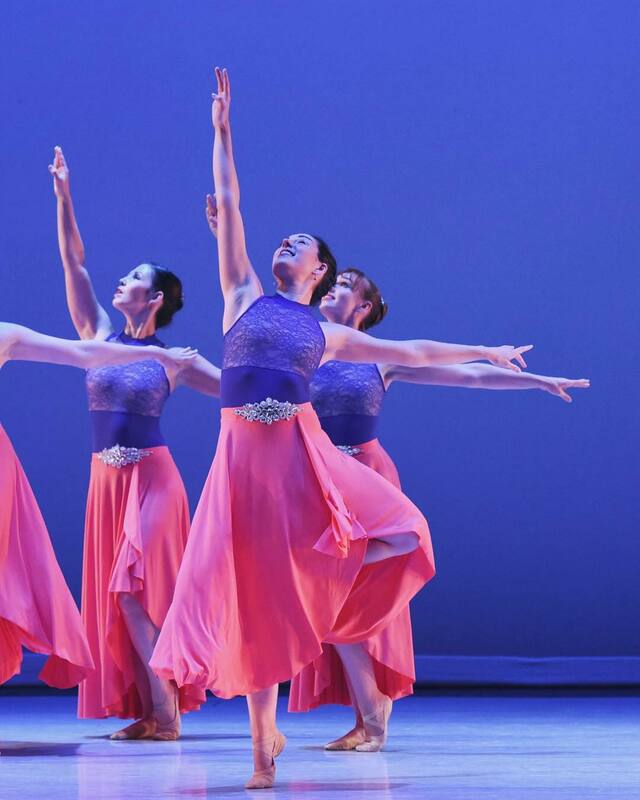 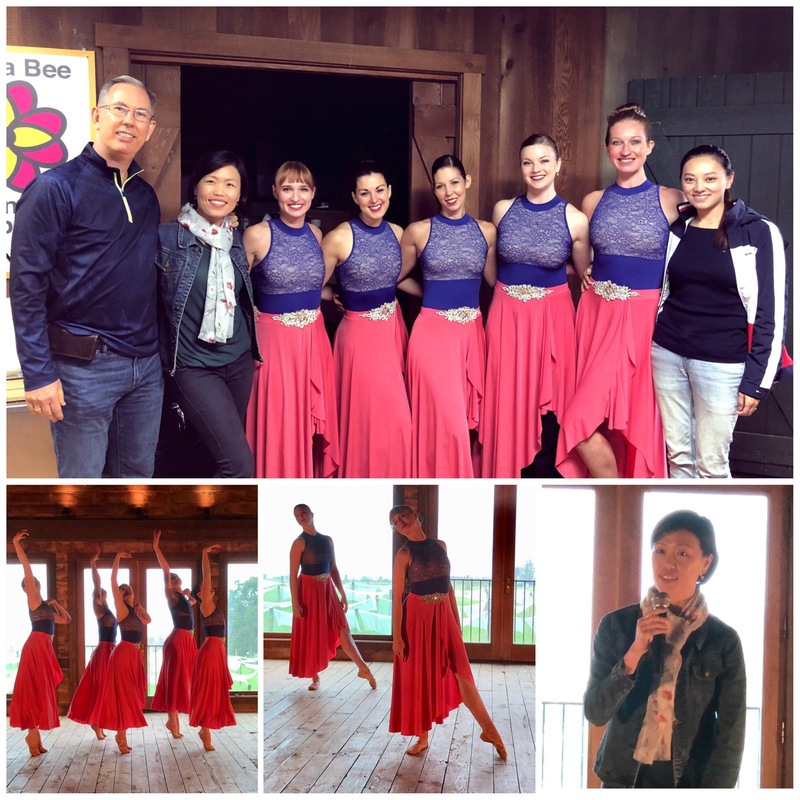 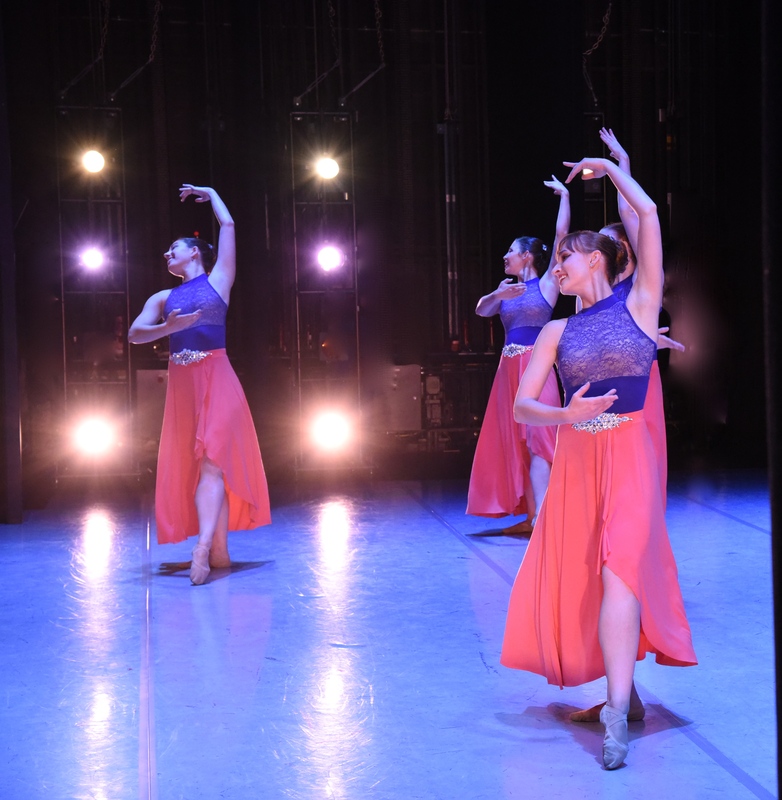 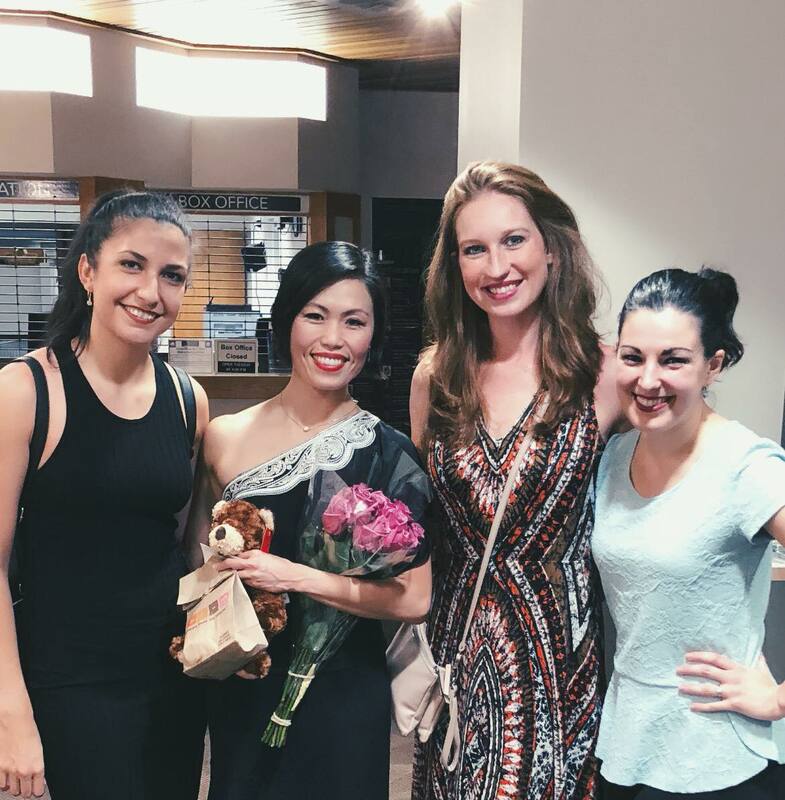 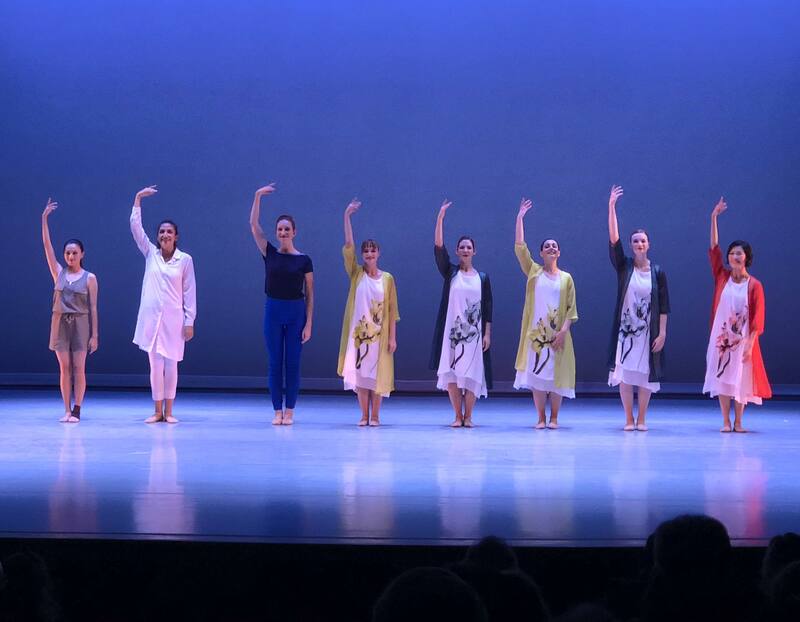 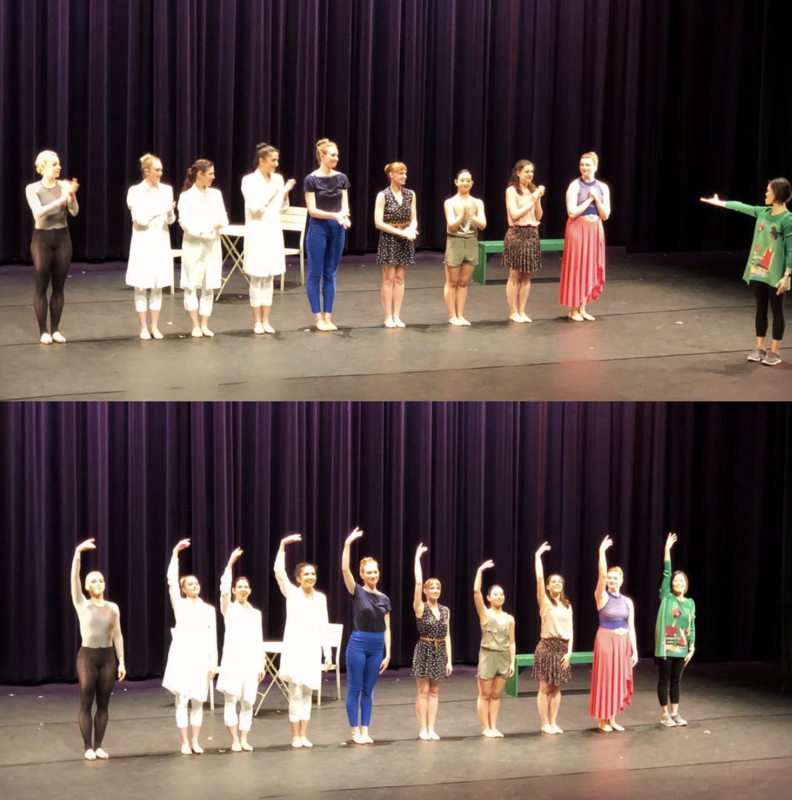 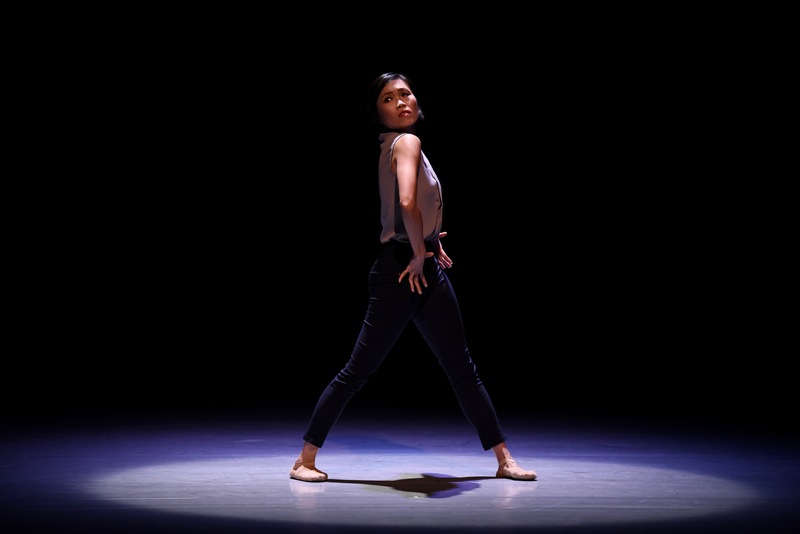 We were thrilled to be part of SoloDuo Dance Festival and share the stage with many outstanding artists and dance companies in the world at the Dixon Place in NY. 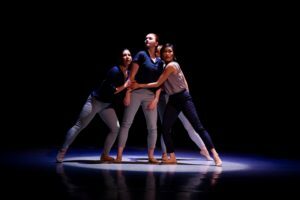 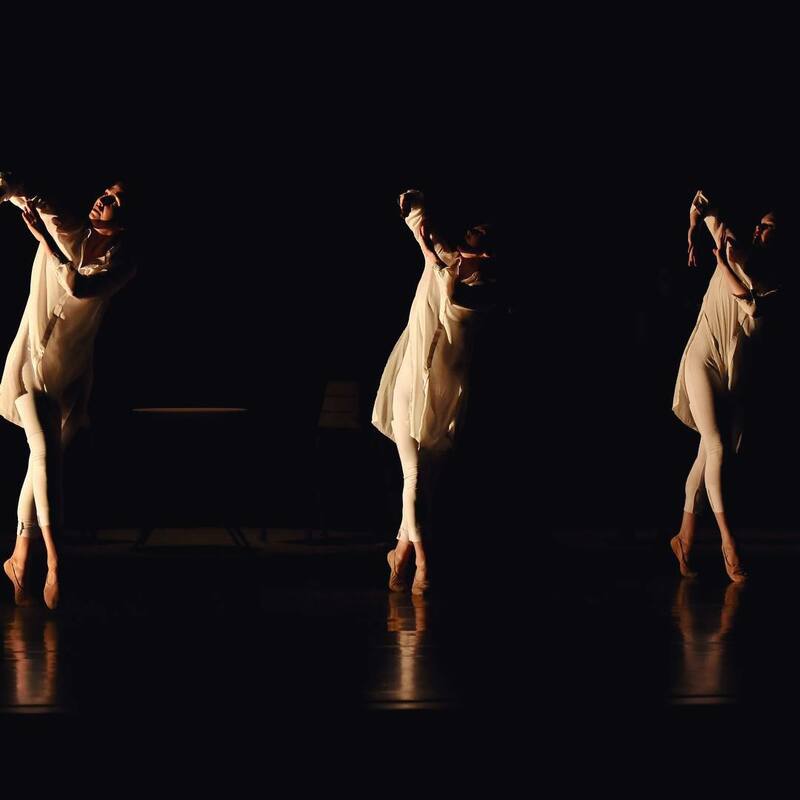 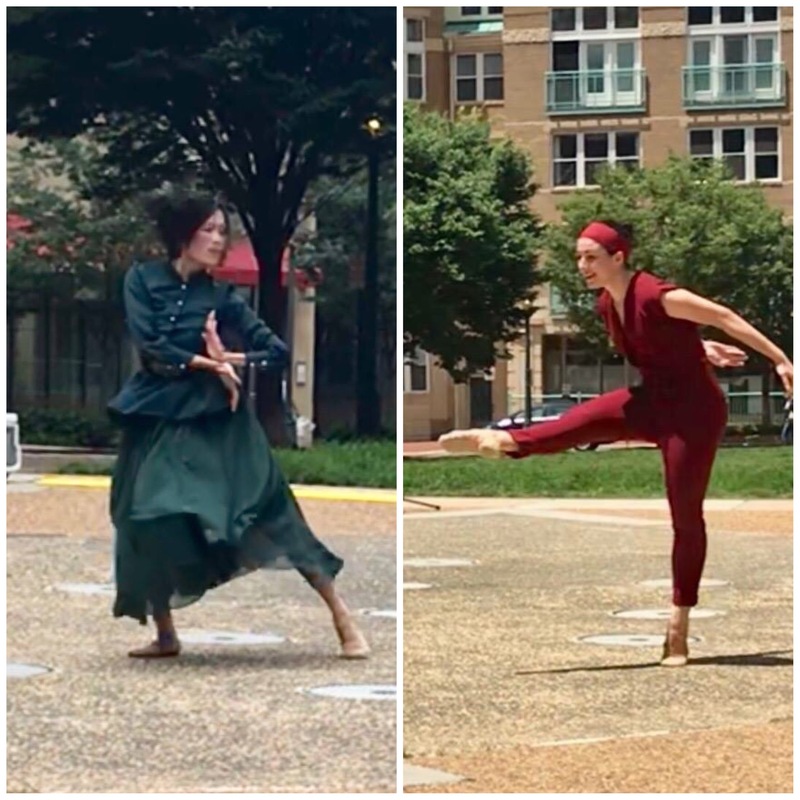 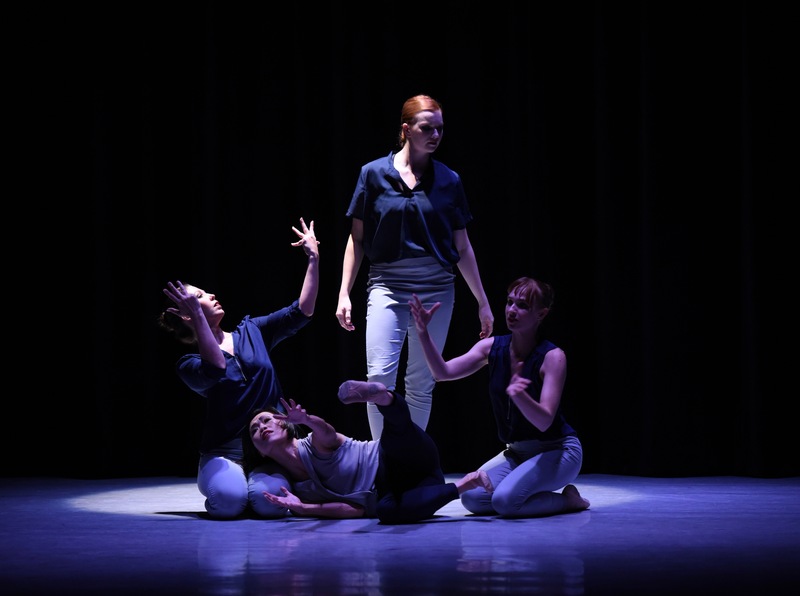 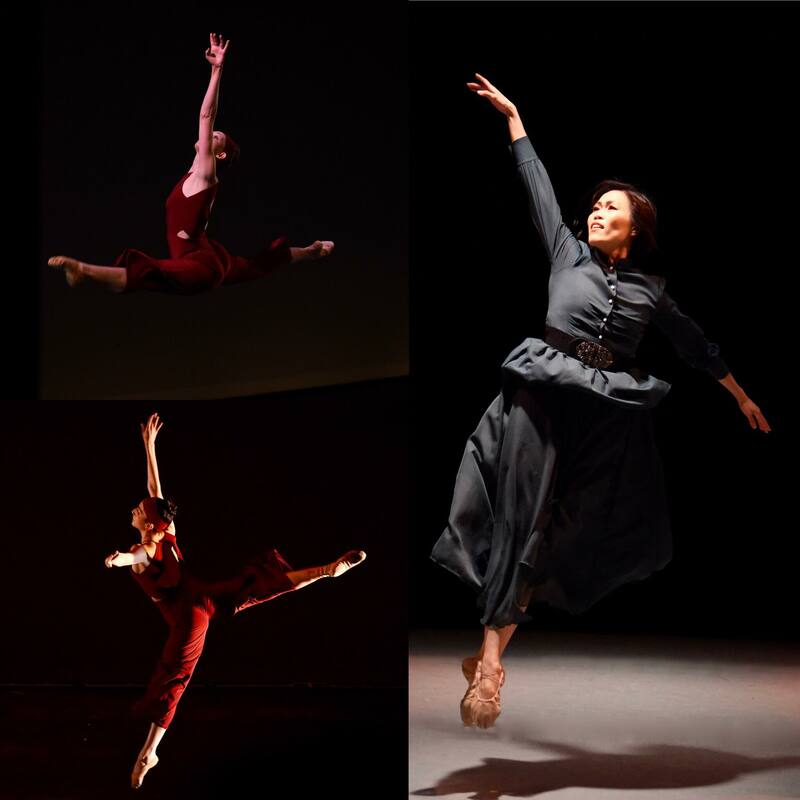 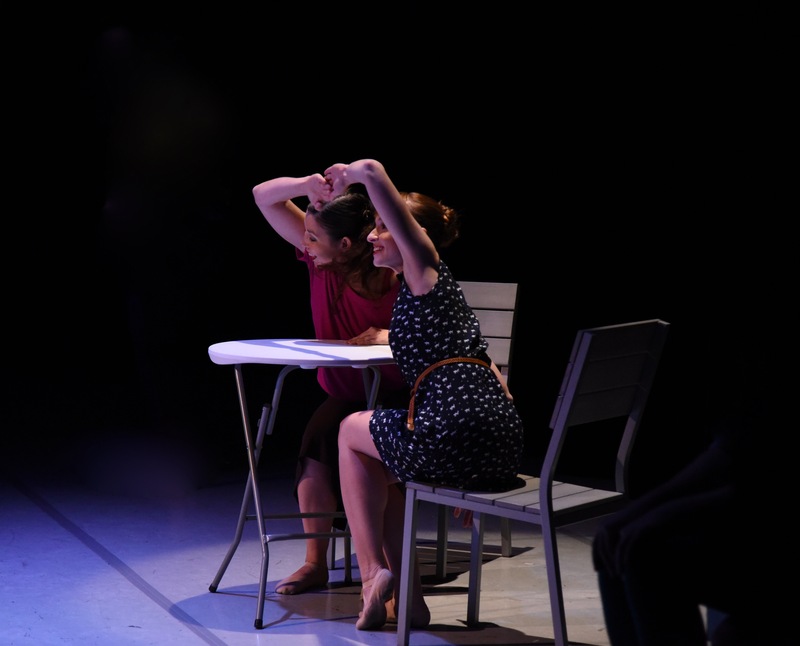 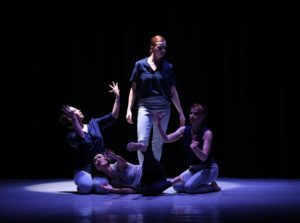 Some great photos from ‘L.E.O.’ choreographed by Shu-Chen Cuff performed at our ‘The Story of Our Lives’ production at the Reston Community Center. 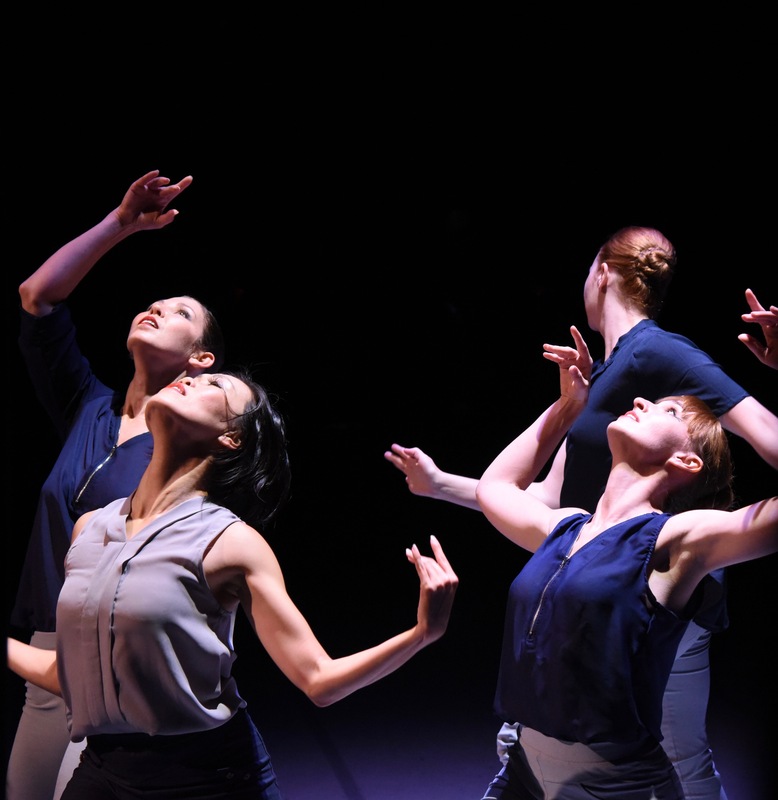 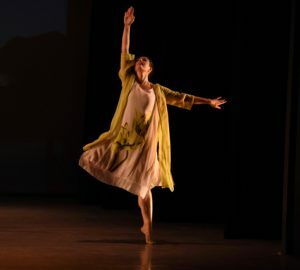 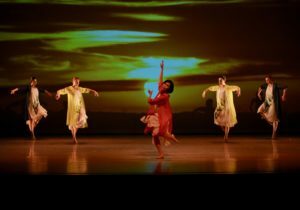 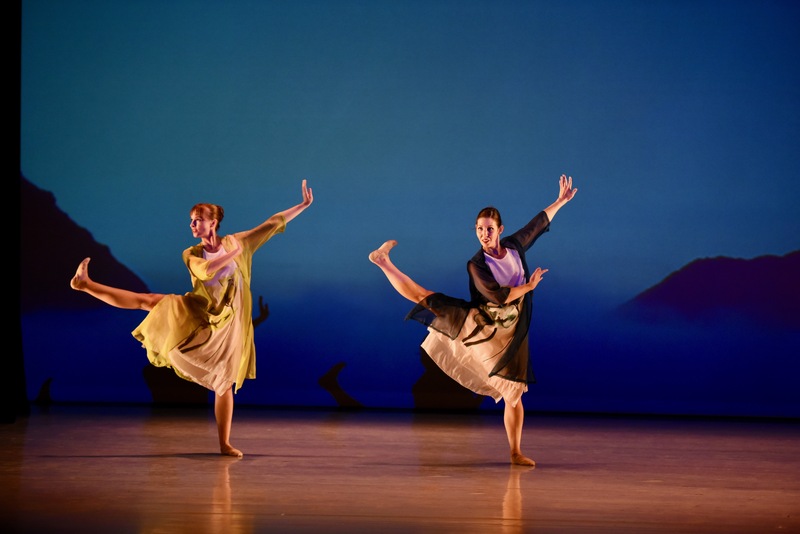 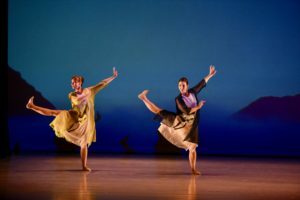 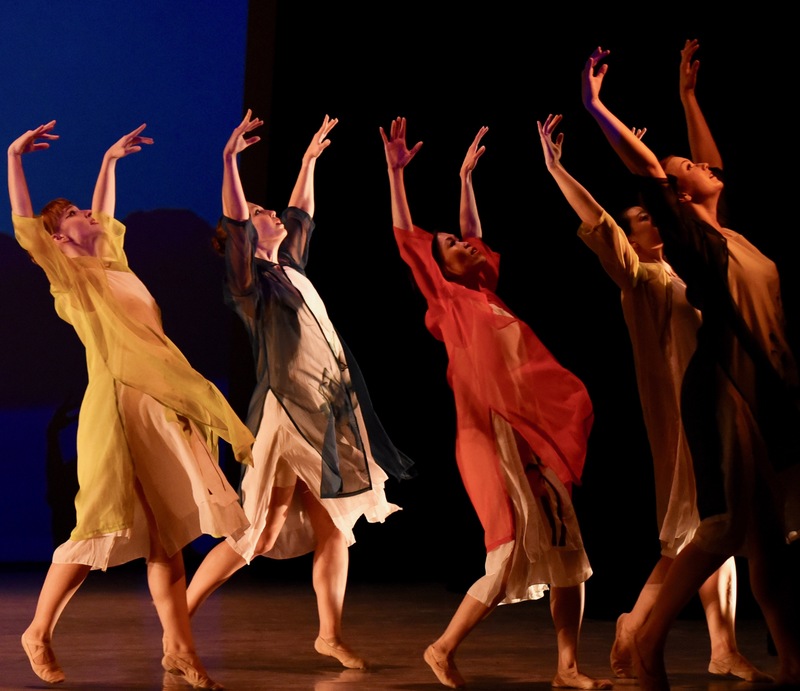 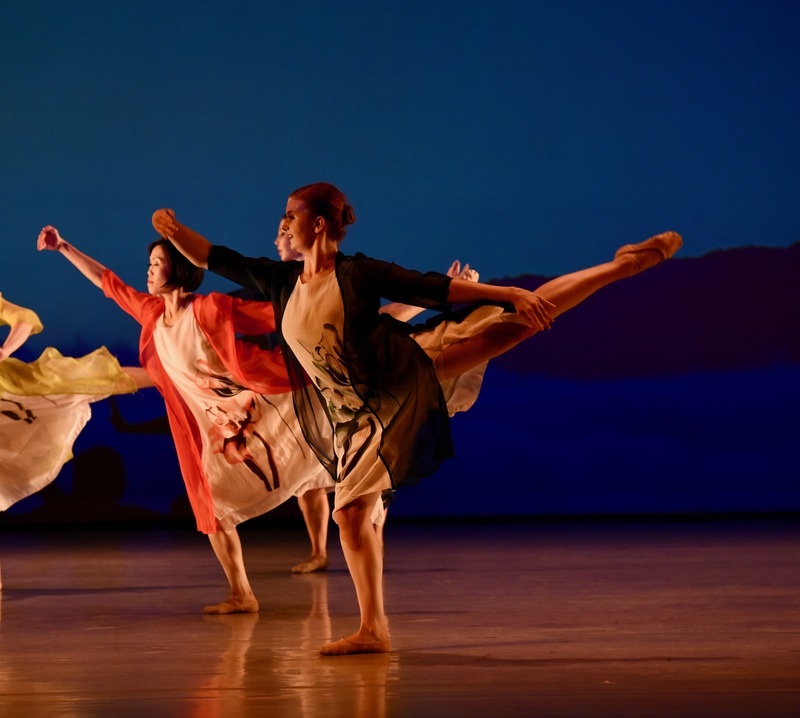 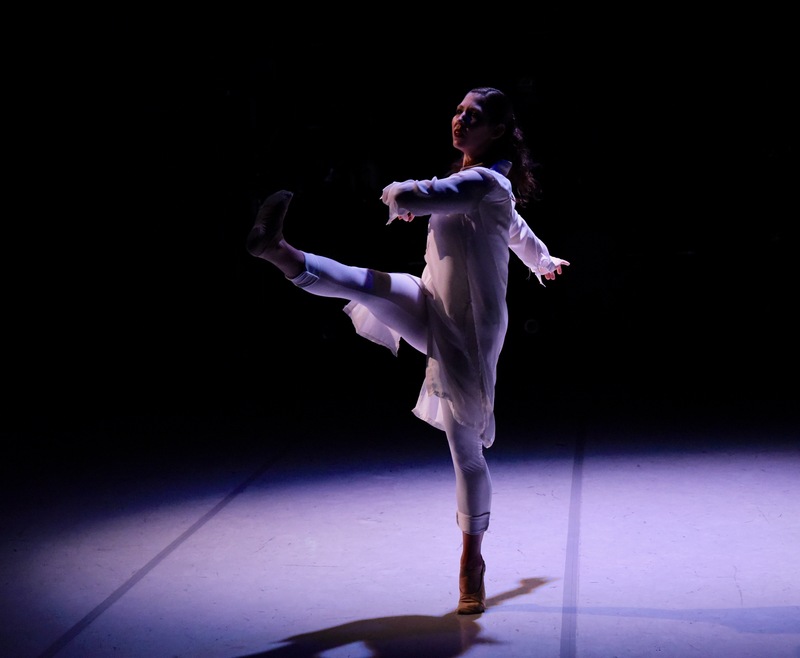 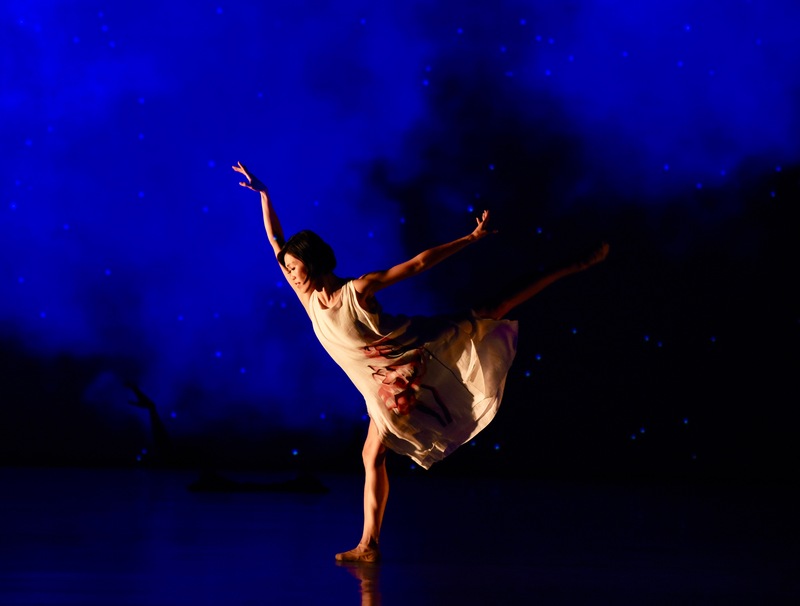 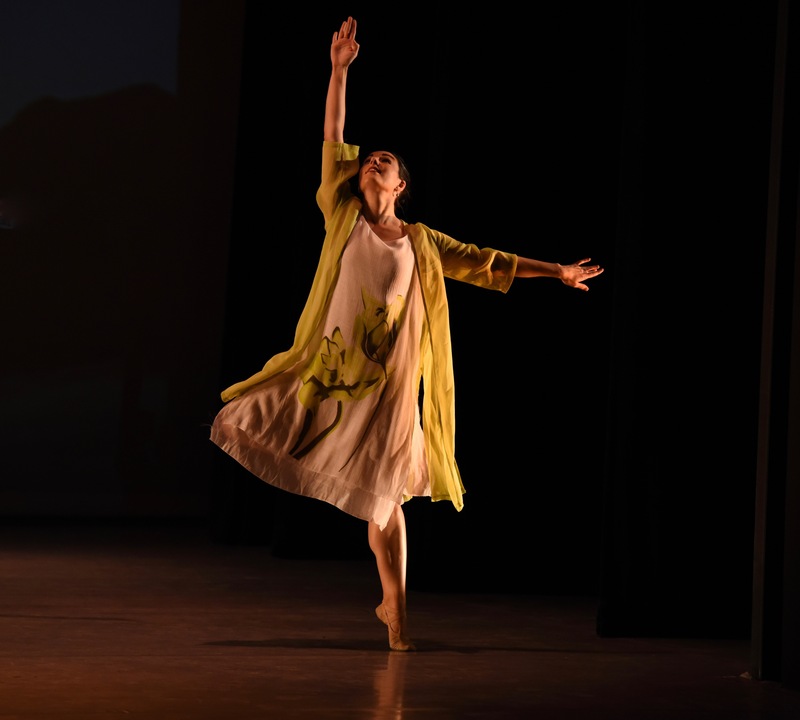 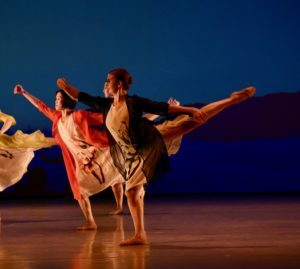 Some great photos from ‘We, The Moon, The Sun’ choreographed by Shu-Chen Cuff performed at our ‘The Story of Our Lives’ production at the Reston Community Center. 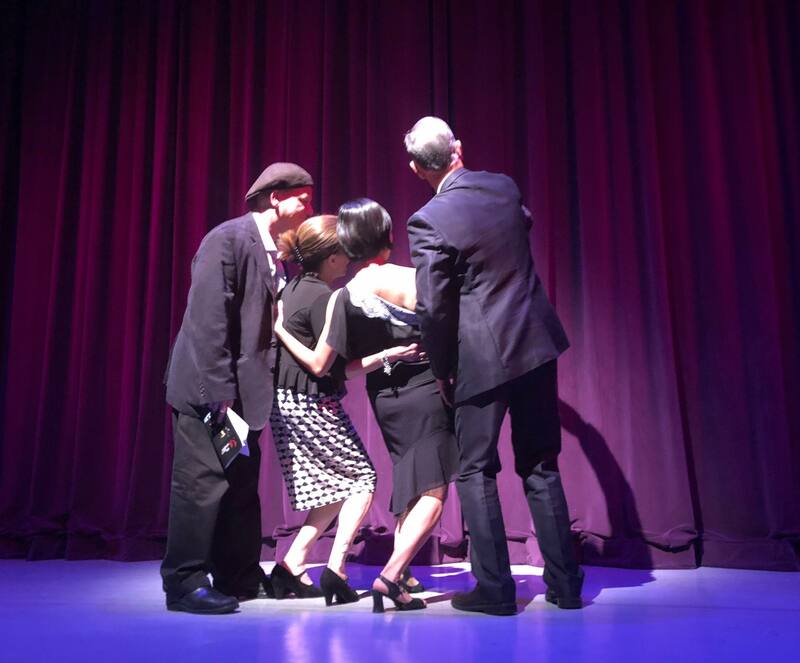 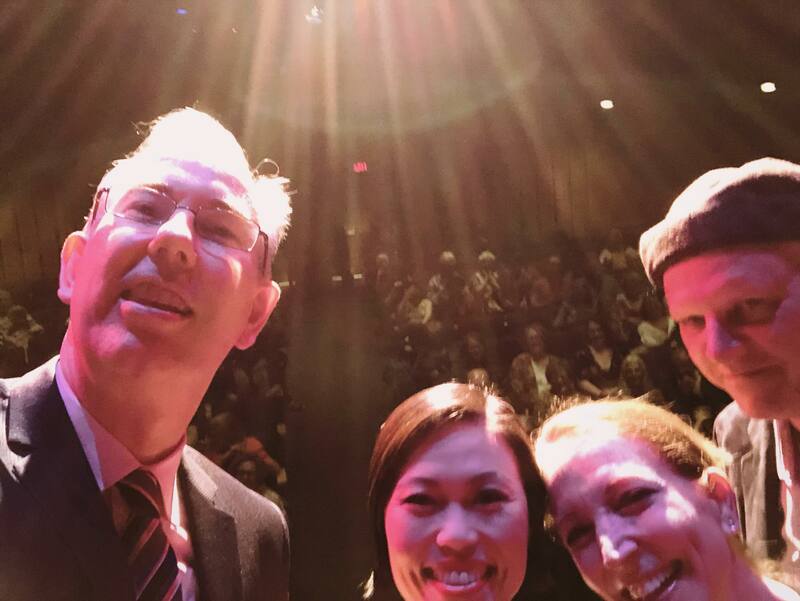 Here is a little selfie moment on the stage last night because yesterday, October 6 was a very special day… It not only was the night of our full evening performance, but also was our Artistic Director Shu-Chen Cuff and Executive Director Gary Cuff’s 16th wedding Anniversary and our Board member Sabrina Cohn and her husband Dan Cohn’s 6th wedding Anniversary!! . 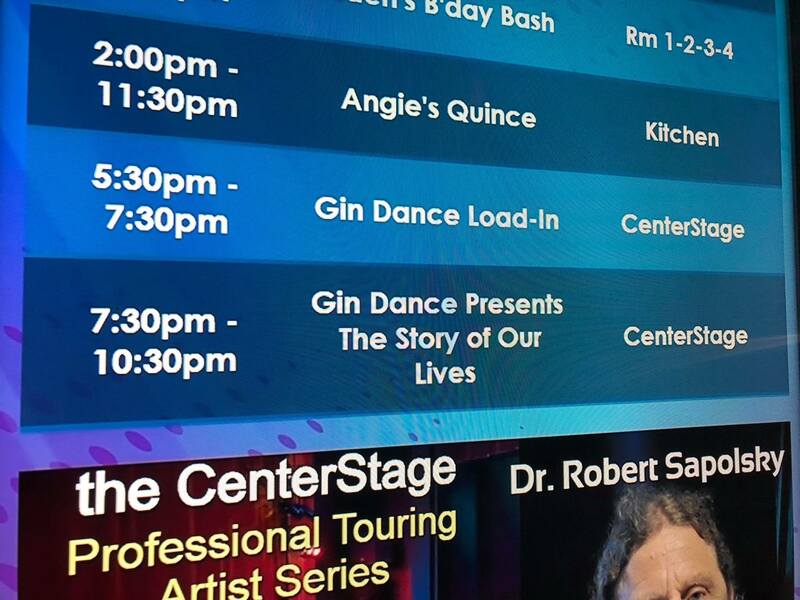 Gin Dancers Did It Again!! 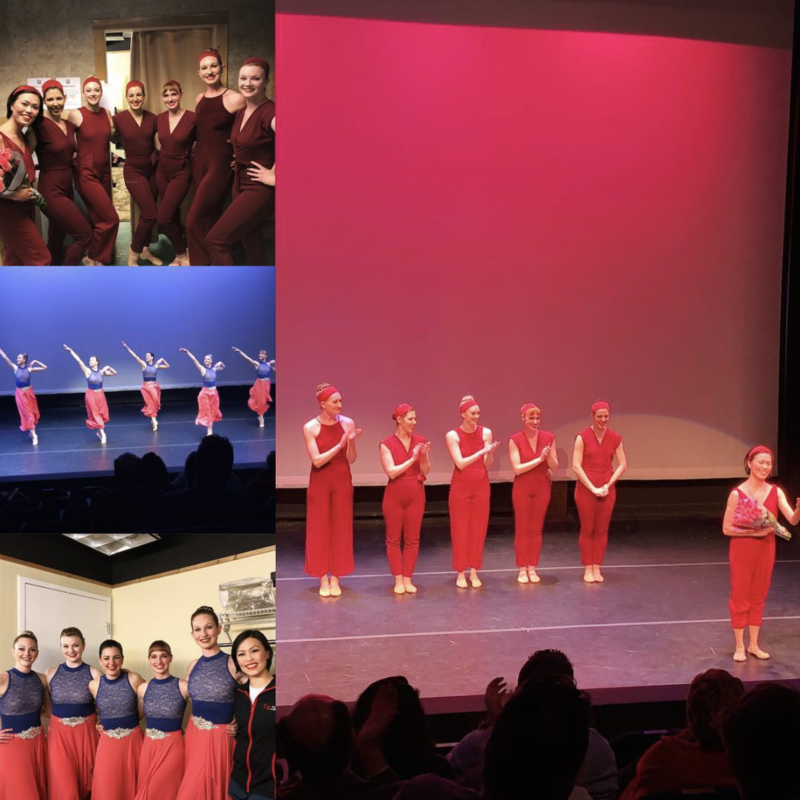 We had a blast performing our production ‘The Story of Our Lives’ on October 6 2018, Saturday at 7:30 pm at The CenterStage at Reston Community Center!! We enjoyed so much seeing so many of our family and friends at our performance!! We are so touched. 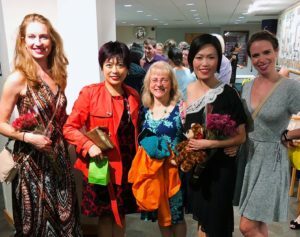 Here are some photos from the evening ! 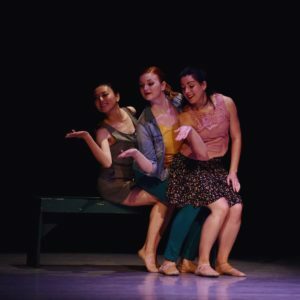 It’s Here!! 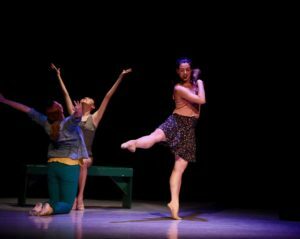 See You Tonight!! 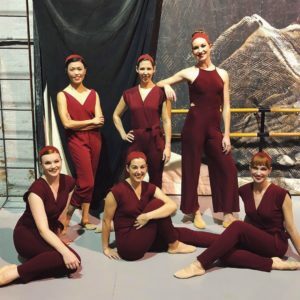 Our ‘The Story of Lives’ performance is FINALLY HERE!! TONIGHT!! You will get to see our wonderful dancers perform at The CenterStage at Reston Community Center!! 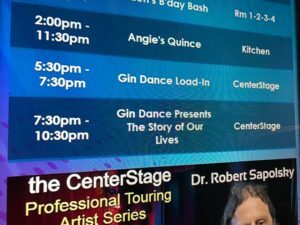 Come join the Saturday Night fun!! 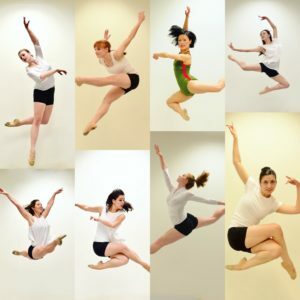 Get your tickets: https://purchase.tickets.com/buy/TicketPurchase?orgid=31908&pid=8612956#.